Frost-hardy ornamental hybrid. The colourful bloom lasts for months and turns from yellow-red to bright purple. Rosettes reach 15-20 cm in diameter. It is hardy to cold because it parentage possibly includes Aechmea recurvata v. benrathii, A. cylindrata or A. gamosepala. All of them are hardy to moderate frosts. What do we ship to you? 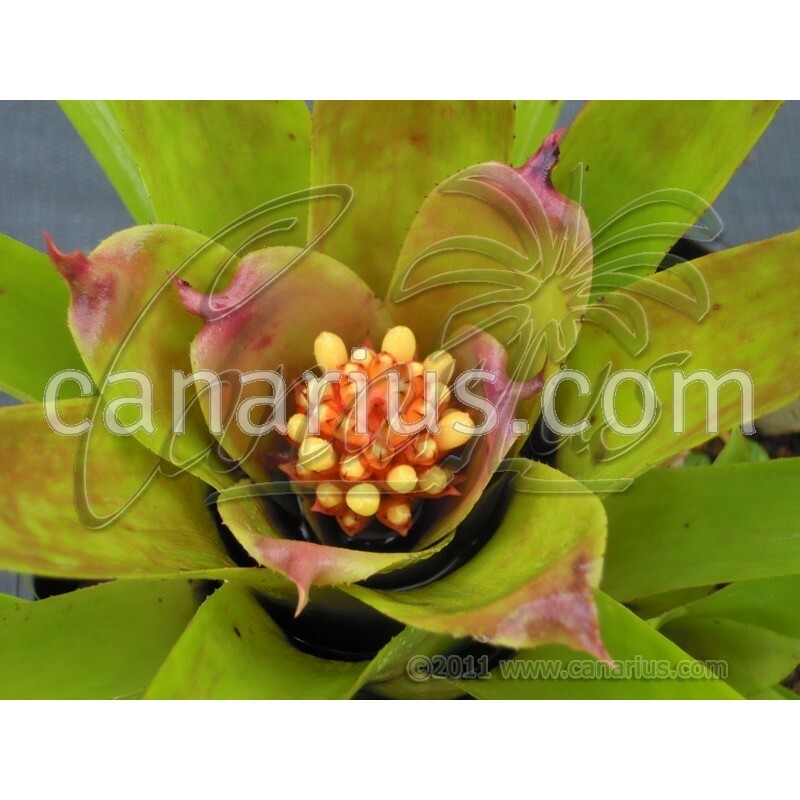 We offer one rooted plant of Aechmea x Suenos Yellow, of 15-20 cm, able to flower in one or two years.